Lighten up – Shorter days leave your body and brain craving sunlight which naturally increases the serotonin levels in your body. Light therapy has been shown to help but it can be pricey. Luckily, in Texas our winters are mild and we have many sunny days throughout the winter so get out and enjoy it when you can! Boost Vitamin D – Again, shorter days and less sunlight can lead to lower vitamin D levels which can leave you feeling fatigued and lower immunity. A vitamin D supplement can help stave off these and other symptoms. Move it – More and more studies show that exercising has a significant impact on mood. Even just a 20 minute walk can make a difference. And the bonus is that it can help you avoid the winter weight gain. Tune in – A 2013 research study from the University of Missouri showed that listening to cheerful music can greatly improve mood. So cue up your dance cardio playlist and this one is a twofer since dancing counts as exercise. Get Acupuncture – Acupuncture regulates your body’s energy (Qi) and helps prevent stagnation. Acupuncture also naturally stimulates the release of serotonin. Oil Up – Aromas have a powerful impact on the limbic system – the part of the brain that controls emotions and memories. 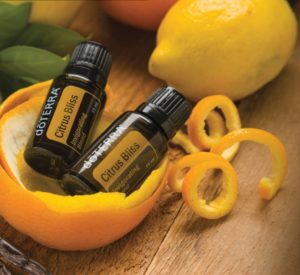 Citrus scents in particular are especially uplifting and invigorating so diffusing blends like doterra’s Cheer, Citrus Bliss, or Motivate can actually help you feel cheerful, blissed out, and motivated. You can try all of these and more in our office. Hang in there! It’s Texas so Spring is right around the corner.